Next week in the US is PetFinder.com’s annual Adopt-A-Less-Adotable-Cat-Week! Although every week is a good week to adopt a pet, we think it’s great to raise awareness of the many types of animals which prove to be so much harder to home. These may range from black cats, black dogs or to animals that are old, have health complications or disabilities. 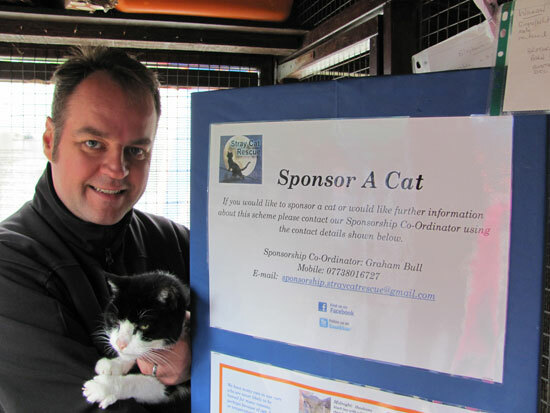 Last weekend, Simon attended the open day for his local charity Stray Cat Rescue. They have launched a scheme where people can Sponsor A Cat which helps care for less adoptable cats. Instead of having to look after an ill or injured animal yourself, you can become a sponsor and contribute to the cost involved in making sure an animal receives the care and treatment they need. We’re sure animal sanctuaries and centres around the world will have similar schemes. Why not check your local rescue centre and see how you could help. Do you work in a rescue centre? Or is your cat a rescue cat? We’d love to hear your stories – please share them in the comments below. 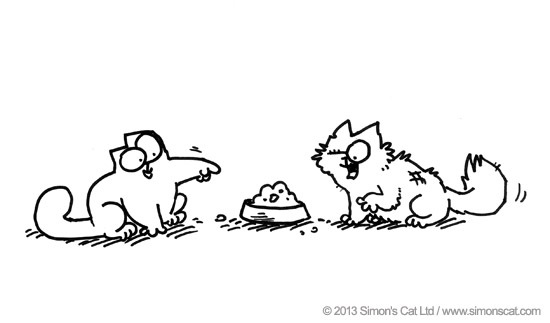 Simon's Cat Logic - How Do Cats Stay So Clean?